Is This the Bitterest Type of Produce (That People Willingly Eat)? A dozen ways to use your new go-to green. Our favorite will have you puckering up. Halloween isn't just about pumpkins. Get to know the dark side of garlic. Don't let your gourd down—it's time to get serious about pumpkins. Have You Been Missing Out on Muscadines? Pick up this fruit of the vine while you still can. 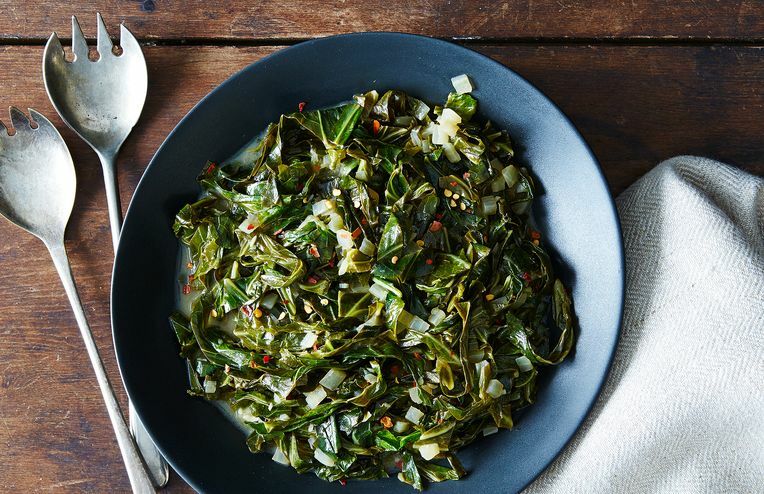 A legume that lives up to its name—almost. A variety of cilantro that even cilantro-haters might like. Stop and smell (and eat) the flowers. Should you fall for the final stone fruit of summer? Hatch a plan to get ahold of these chiles. All of the items to fill your bag with at the market this week. The free fruit that might be right in your backyard. Put chamomile to use in more than just a great cup of tea. Don't throw shade at nightshades. This berry is the king of breakfast (and makes a royal addition to desserts, too) -- it even wears the crown to prove it. The best dish-brightener around is sweet and sour—and packaged in a pod. Confused about the different types of lettuce? Don't lose your head—we're here to help. We've been stocking up on fresh herbs to get our spring fix. Next up, marjoram.